This 119 has been outfitted with a host of upgrades. 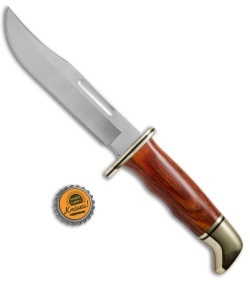 It has the same highly functional design of the original with a cocobolo handle and a brass pommel and guard. 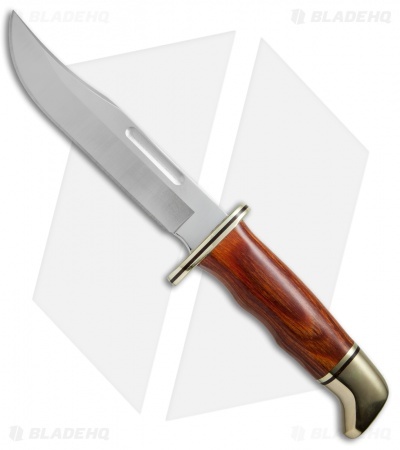 The clip point blade is made from 420HC stainless steel with a satin finish. 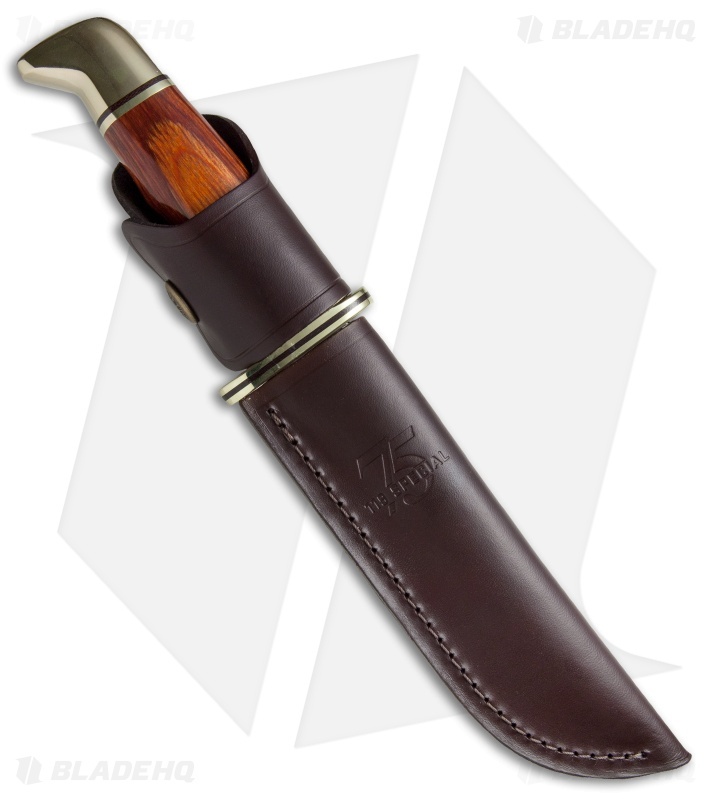 Item includes a leather belt sheath for everyday carry. I wasnt sure about getting this knife at first but Im glad I did! It’s a lot more solid feeling than I expected. It’s a great knife for camping and comes with a slick looking leather sheath. Totally worth the money. I don’t have this color but I have the black one and I have got to say this is a pretty damn tough knife, took it out one day to hack at some wood, whipped down the blade, and not a single mark on it. Razor sharp and pointy, and a nice leather case to go with it.... only complaint is that the handle could use better grip but I does make the knife look really cool.